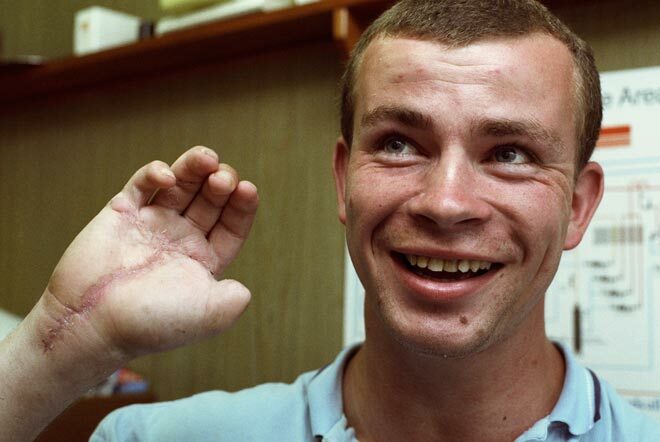 Lower Hutt gasfitter Dean Cutter lost all the fingers and thumb of his right hand when it was caught in a chain drive. ‘I was really worried I was going to be left with a stump,’ he said, but his fingers were reattached and he regained movement in them. ACC paid for his treatment.